Started from May 2, MetLife Military Dental has been ready to serve quality dental care for over two millions of reservists and their family members. Beside the increase quota, the provider also plans to improve its services so that people are able to get healthy teeth and smile. It was said that there would be big improvement. For the current members of Tricare Dental, they are recommended to change their dental care provider to MetLife Military Dental. The requirement for making this change is not difficult to fulfill. The members do not need to complete any paperwork. However, those who pay their monthly fee through credit card are required to contact the dental care provider. This is aimed for reauthorizing the monthly payment. The good news you and reservists may like to hear is that MetLife offers new enrollment for those who are recently not registered as the members of TDP. They have prepared this plan in advance and they are ready to help you in case you have any question concerning the enrollment. You can contact the company’s customer service since they will answer any question you have about this. Through the new improvement, MetLife Military Dental commits to add some more locations so that many people will be easier to get quality dental treatment. Based on the report publish by Tricare Dental, there will be over 164,000 dentist offices where members are allowed to come to for solving their dental problems or prevention. The number of dentists to serve its members also increases. The additional dentists are selected among those who are expert in solving dental issues. Those who have already had their own dentists are recommended to find out whether the dentists are included in the network or not. There are many benefits can be expected from this system improvement. The benefits may include coverage of whitening teeth and fillings, coverage of cleaning for pregnant women, intensive treatment for children, no additional fee for root planning and scaling, and many other dental benefits. Enrolling at MetLife is never a wrong decision to make. Seeing the benefits the dental care provider has to offer, you will never end up in regret after applying for the plan. With the new changes that include more coverage, MetLife Military Dental can be your best option if you and your family members want to have healthy teeth and of course healthy smile. Posted by mimin on August 8, 2012 at 10:00 am under Dental. 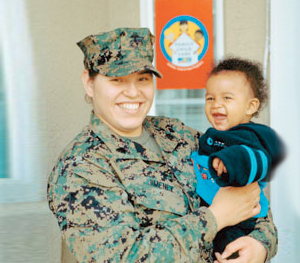 Comments Off on MetLife Military Dental Provides More Coverage.